Photo provided by Haldor Topsøe. 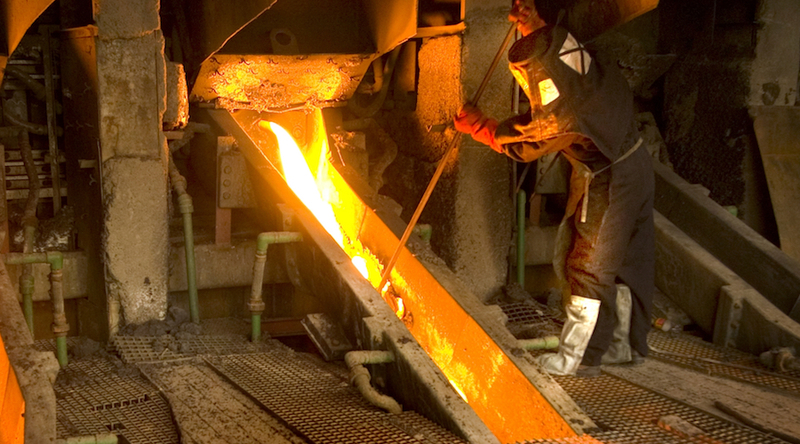 Following the signing of new regulations that limit the amounts of sulfur (SO2) that mining operations are allowed to emit, Anglo American Platinum (JSE: AMS) decided to implement a new technology at its platinum smelter facility in Polokwane, northern South Africa. The No.1 producer of the transition metal enrolled Denmark’s Haldor Topsøe in a project aimed at installing a Wet gas Sulfuric Acid emissions control technology at the smelter. The $1.1 million plan should be completed in a couple of years. Also known as WSA, the plant is designed to reduce emissions of SO2 from around 90,000 mg/Nm3 to less than 1,200 mg/Nm3 and, at the same time, produce up to 148 tonnes per day of commercial-grade sulfuric acid. According to Haldor Topsøe, the recovery process is energy-efficient because it uses no or very little support fuel and requires only minimal cooling water.